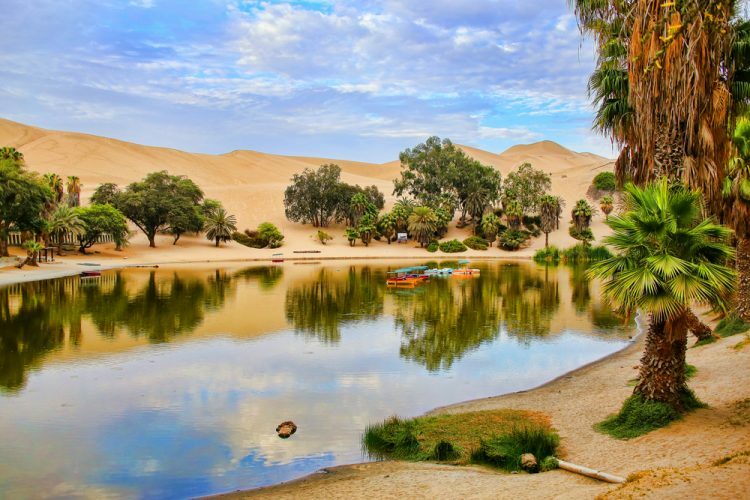 Huacachina has become a haven for budget travelers in recent decades, thanks to its stunning scenery and some adrenaline-pumping sandboarding tours on the nearby dunes. And while most accommodation here does cater to the backpacking crowd, a number of mid-range options have popped up for more affluent travelers as well. Here are the best in town. Featuring 26 tastefully-decorated rooms that surround a palm tree-lined pool and patio, this stylish three-star resort is the ideal place to relax after a long day exploring the nearby dunes. An onsite restaurant serves excellent Peruvian fare while the staff are renowned for being friendly and attentive. Occupying an entire block on the eastern side of the oasis, the highlight of this huge colonial-style hotel is its expansive, leafy courtyard, complete with fountains and plenty of ferns. A solid breakfast is served each morning on a balcony overlooking the lagoon, while an adjacent pool is a great place to relax during the day. If your budget permits, opt for one of the more expensive rooms as the difference in quality is substantial. Once again, the main attraction of Hostal Curasi is its large central swimming pool surrounded by numerous sunbeds—the perfect place to chill out on a hot afternoon. Each room is sufficiently spacious and well adorned, featuring colorful bedspreads as well as clean and modern bathrooms. 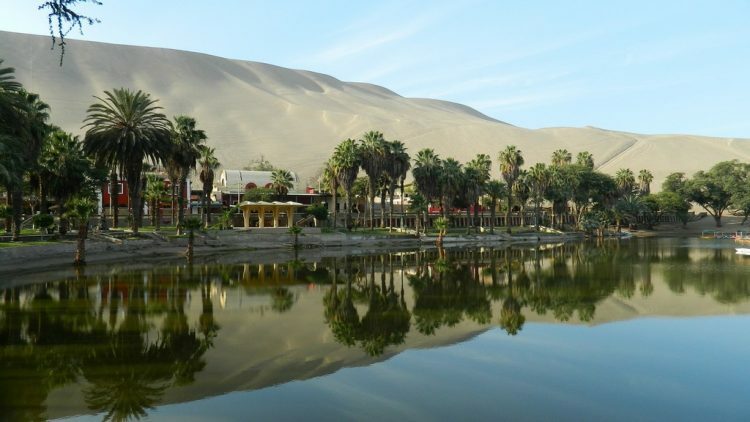 An excellent option for traveling families or those just looking for some serious R&R, Hosteria Suiza is sufficiently far from the Huacachina’s boisterous discotecas to ensure a good night’s sleep. Plenty of plants can be found throughout this sprawling complex, including an attractive array of pronged palm trees that tower over the picturesque central pool. The onsite restaurant only serves breakfast, though there are ample other eateries nearby. This clean and modern eight-room boutique is popular for its terrace with excellent sunset views, as well as a small-yet-refreshing outdoor pool. An excellent downstairs restaurant serves up some of the tastiest grub in town, but be aware that it turns into an obnoxiously loud discoteca most evenings. A small and budget-friendly, family-run operation, Hospedaje Claudia is not exactly luxurious, but it is a solid step up from the numerous backpacker options in town. Each of their five rooms is well appointed, except for the triples which are a little on the cramped side. Front desk staff are friendly and helpful despite not having outstanding English language skills. Popular with gringos and Peruvians alike, Carola Lodge centers around a wide swimming pool among lush gardens with sweeping views of the dunes. The rooms and amenities are acceptable, but be aware the place often packs out with locals on weekends when it can get pretty noisy as the beer begins to flow.